Labyrinth of Refrain: Coven of Dusk is ranked in the 70th percentile of games scored on OpenCritic. Overall, Labyrinth of Refrain: Coven of Dusk offers up quite a bit to keep you coming back for more while appealing to fans of the dungeon crawler. In an RPG subgenre where the story often takes a backseat and true innovation is lacking, Labyrinth of Refrain is a standout with an emotional payoff for those willing to spend time with its reprehensible cast. 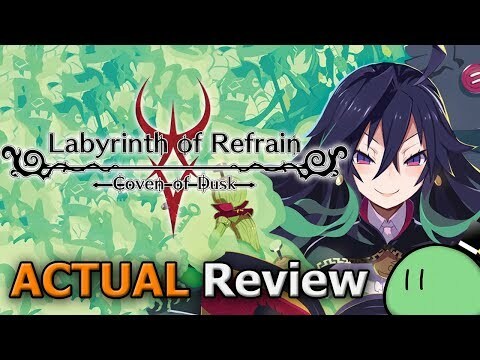 So Labyrinth of Refrain: Coven of Dusk is my second dungeon crawling title in as many weeks, and while both were good I have to give the nod to Nippon Ichi and NIS America here for crafting one that manages to feel like both a traditional part of the genre while still taking some chances that generally work more often than not. The combat and sound effects can be a little repetitive and there is a bit of menu overload to be had here, but the massive, custom parties plus wall-breaking mechanics combine to compliment an enjoyably presented game with a darker, more interesting story than we usually see out of dungeon crawlers. Labyrinth of Refrain: Coven of Dusk feels like the Marmite of dungeon crawlers, you’ll either love it or hate it. If you played The Lost Child recently and you really enjoyed that game, even with its steep learning curve, then you’ll most likely really enjoy Labyrinth of Refrain, especially if you are also a fan of the Witch and Hundred Kight and Disgaea series’. To the general consumer out there who likes Dungeon Crawlers which are nice and simple with no complicated mechanics or many processes to take in and remember, this one may not be for you. For the most part I see Labyrinth of Refrain as a take it or leave it proposition mostly resting on your interest in genre or at least the methodical style of play. It’s not terribly dynamic or exciting given that it is turn-based, but there can be a sense of satisfaction when you get into new territory and discover new things. On the narrative side perhaps there’s a crowd who is into the sometimes bizarrely adult elements but at the same time the game could have obviously gone further all in on that thread and didn’t. 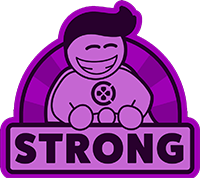 The result is a narrative that can be long-winded but surprising and amusing sitting on top of rock-solid turn-based RPG elements that you can tailor to your tastes reasonably well. Not a bad deal if you’re looking for something a bit different on several levels.